No one will argue that the job market is tough in this day and age. More and more people who have been in the work force for 30+ years are finding themselves unemployed and unable to pay their bills. With all this unemployment, the competition for available jobs is growing every day. That is why when you sit down to write your resume you have to bear in mind crucial steps to really catch the hiring managers eye. 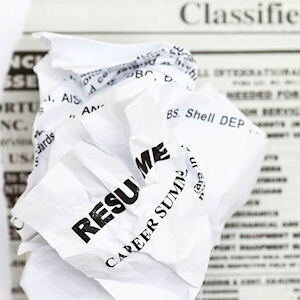 Make your resume is short (one page, if possible, two pages at most). Be specific about accomplishments, but do not stretch the truth. Nothing is worse than getting caught in a lie. Make it attractive. Remember that when you are choosing your format you need to be mindful of the way it looks. Be sure that it is both professional and easy to read. Emphasize most recent jobs. However, make sure they’re relevant to the position that you are applying for. If possible, have someone else check your resume for errors. Some errors you may not be able to see, or simply pass over. A second set of eyes never harms, but almost always helps! Save references and personal data for the interview. It is illegal to judge an applicant based on personal information. Avoid salaries or the reason for leaving the last job. In most cases, this is not relevant information. Ask yourself “Would I interview this person?” One of the most important things to consider is the likability in your resume. If you don’t find yourself likable, then most likely neither will whoever is reading it. Keep your resume current. Don’t include jobs from your second year of high school. Make sure you keep the information current and concise. Finally, prepare a cover letter to introduce your resume. In most cases this will show that you’ve gone the extra mile. Introduce yourself, your skills and what you feel you are capable of providing to their company. We hope these help in finding your dream job! Check out our other articles and resources for other tips and tricks.